Relæ’s simple unfussy aesthetic is matched by its low-impact approach to the environment: the chairs and tables are recycled, light fixtures LED, cooking is by induction methods, and local deliveries collected by bike. Furthermore, the restaurant partners with a local community centre and organic nursery, with all food waste used as compost. The team helps develop healthy recipes for local schools and offers four-year fully paid apprenticeships to culinary students. This Danish dining beacon sits on a short stretch of small boutiques and coffee shops, just past the historic Assistens Cemetery (where Hans Christian Andersen, famous for his fairy-tales translated into more than 125 languages, and Søren Kierkegaard, the Danish existentialist philosopher and theologian, are buried). 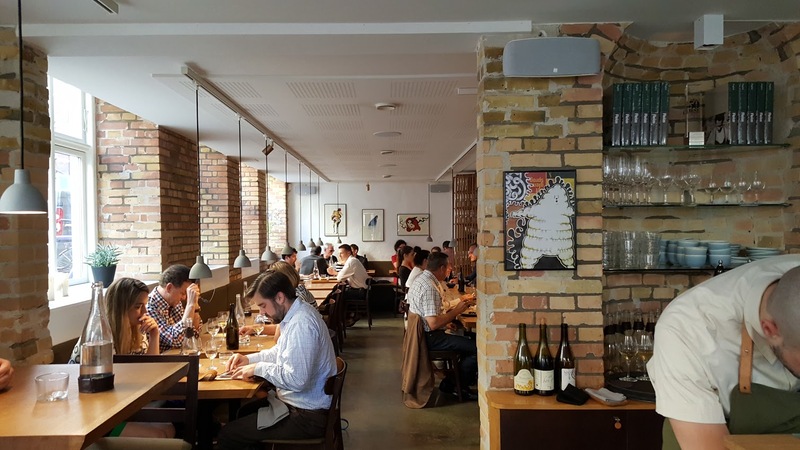 Praise for Relæ, operated by Christian Puglisi and Kim Rossen, alumni of one of the world’s legendary restaurants, Noma (which has produced many chefs now operating their own New Nordic restaurants) is well-deserved. Perhaps unexpectedly (given Relæ’s lineage, reputation, and need for reservations in advance), diners are welcomed and hosted with a notable unpretentiousness. Its stated mission, simplicity with quality comes first, great details are just beneath, rings true. In place of showiness or pomposity is an enthusiastic and sincere commitment to local, seasonal, and sustainable sourcing; a depth of knowledge about the food prepared, plated and served; and an effort to use simple, 90-100% certified organic ingredients for its delicious food, with its clear flavors and textures. 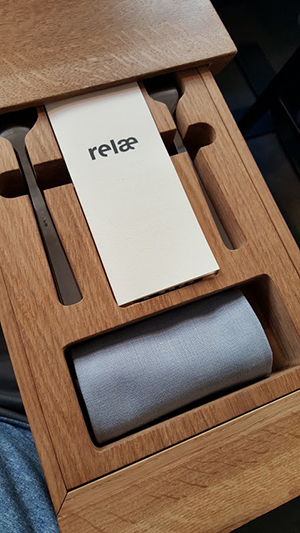 Before the meal begins, a wait staff member brings over chilled, wet hand towels, infused with the refreshing scent of bergamot (the scent, like the menu, varies depending upon the chef’s choice). In a sliding drawer at your place setting, in a unique toolbox, are your utensils, a napkin, and a menu or, more accurately, an information/options card. At Relæ, diners are presented with two primary decisions: four courses or seven courses and omnivore or herbivore. The card notes that “our focus has always been on vegetables.” This statement and the execution of the menu ties in seamlessly with Michael Pollan’s famous advice in Food Rules to “Eat food. Not too much. Mostly plants.” Although provided with an information card, diners are not informed of what dishes await them until they are brought to the table. Guests may also choose to add wine pairings, selected by the staff, for each course. 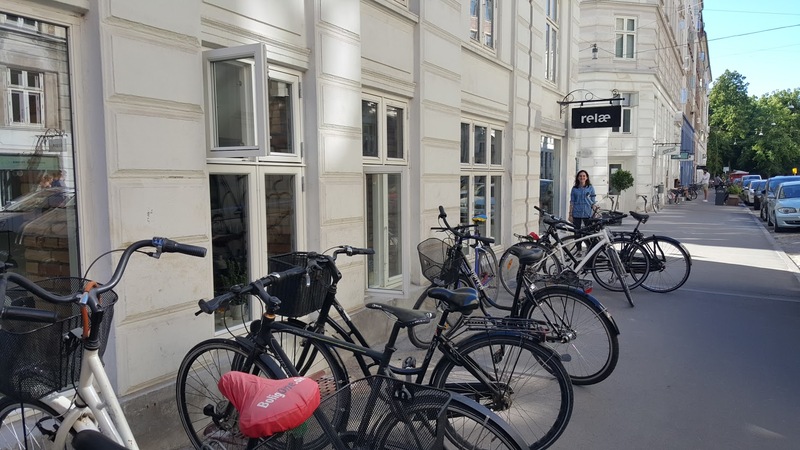 The meal is pricey for diners on a budget, but certainly fair for such a credentialled restaurant, especially given the current favorable U.S. dollar to Danish Krone (dkk) exchange rate. In early summer, four courses (essentially three small plates and a dessert) are 450 dkk ($67 in USD at current exchange rates) while seven courses are 725 dkk ($107). The corresponding wine pairings are 395 dkk ($59) and 685 dkk ($102), respectively. 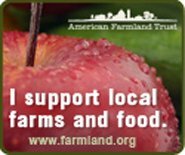 As a matter of comparison, dining at Blue Hill at Stone Barns, the American restaurant included in the top five sustainable restaurants, is $218 per guest exclusive of beverage, tax and gratuity for the pleasure of “Grazing, Pecking, Rooting” at the Hudson Valley dining mecca. Before our four courses appeared, we were served a snack. On our evening, the snack was a raw lettuce stack with overnight-fermented lettuce (fermentation started with some sugar) and goat cheese filled in between the fresh, crisp lettuce layers. This starter was well-constructed, somehow maintaining its stacked architecture over multiple bites, and provided a clean, sharp, flavorful introduction to the meal. We were also given two large slices of house-made sourdough, which had a nice moist crumb, charred crust, and light sourness with some olive oil on the side for dipping. Since one of us ordered the omnivore and the other the herbivore menu, our first courses diverged. The herbivore received a dish simply described as “salted unripe strawberry” by the menu description we received after the meal (recall that dishes are kept secret until brought to the table). This dish was composed of green, this-season strawberries on top of green strawberries preserved last year, green onions, and salt topping the dish. It had a pleasing tanginess from the unripe strawberries and vinegar preservative with some sweet undertones. The omnivore received “venison tartar, new onions and pine,” which included a pile of ground raw venison topped with juniper needles on lightly braised scallions. The venison was tender and mild with the flavor primarily coming from the juniper and scallions. The second course was identical for the herbivore and the omnivore: “potatoes, nettles and truffle.” Small, “new” potatoes cooked al dente were rolled in and topped with a bright green, creamy sauce made from the nettles (foraged, which is always fun to picture). The truffles were shaved on top, and a crispy nettle leaf was hidden between the potatoes. The dish was pleasantly salty with a rich texture and variety of complex flavors. Before the third course, we were given a nice break, which was welcomed as the potatoes dish was intensely flavored. It also allowed a nice opportunity to strike up a conversation with the diners next to us (you’re seated close to others at Relæ). 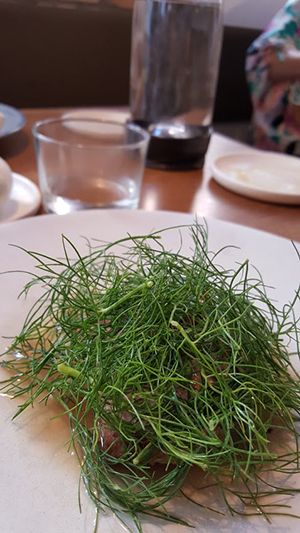 For the third course, the omnivore received “lamb from Havervadgård and fennel,” which was composed of two small slices of lamb sourced from the western coast of Denmark and roasted rare, over lamb fat and sliced fennel root, topped with a forest of fennel leaves. The flavors were uncomplicated — dominated by the sweetness of the lamb and the fennel leaves while the dish had a creamy base from the reserved lamb fat. The herbivore ate “spring cabbage, basil, and egg yolk,” perhaps the most beautiful and inventive dish of the evening. 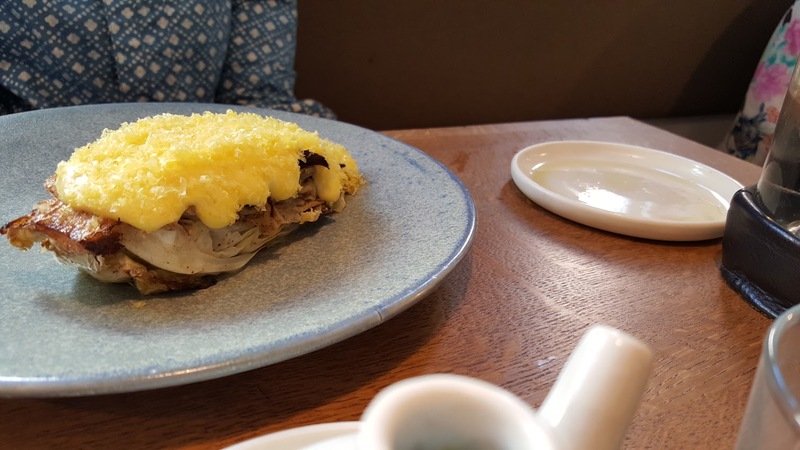 A large section of grilled cabbage was filled with sauteed basil leaves, and topped with a tangy and bright yellow benedict-like sauce and lemon parmesan shavings on top. It was a hearty, perfectly filling final savory course. Dessert (“sage ice cream and rhubarb”) was the same for the omnivore and herbivore, featuring a dollop of softened ice cream flavored slightly but detectably with sage, topped with a rhubarb tuile “cooled at 60 degrees for 5 hours then frozen and cracked,” itself topped by a rhubarb compote. The dessert nicely summed up the characteristics of the whole meal, expressed explicitly in another mission statement on the restaurant materials: We love to cook tasty food in complicated ways from quality produce and serve it in all its beautiful simplicity. Other notable features of the restaurant include the decorative ceramics, some of which come from the ceramic artist, Inge Vincents, known for her paper thin bowls, vases, cups and other containers. (Her wonderful keramiker inge vincents shop is just down the street from Relæ.) The interior design of the restaurant is unfussy; the open kitchen (seemingly required for a restaurant like Relæ) is right by the entry way and the kitchen staff greets you as you enter. A bar borders the kitchen while a long row of two-person tables and a parallel communal table run down the length of the space. 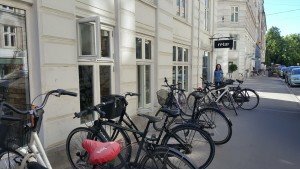 Low lights hang above the individual tables and the brick walls are broken by light-filled (in July, at least, when the sun rises at 4:30 a.m. and sets at 10 p.m. in Copenhagen) windows with fresh flowers on the sills. Food is served on low-key handmade ceramic dishes. The restaurant appears to seat about 35 patrons, and reservations are necessary at least two months in advance, and possibly more now that it has been rated world-class. The toolbox containing the information card, silverware, and napkin is a fun and quirky touch, and builds excitement for the meal to come. Perhaps the most unusual and innovative procedural element of the meal is that each course is served by the kitchen staff member principally responsible for assembling it. This touch eliminates one more middleman in the process of getting the food from the local providers to the diner and allows the food preparers and diners an opportunity to connect and share their mutual enthusiasm for the ingredients and dishes. 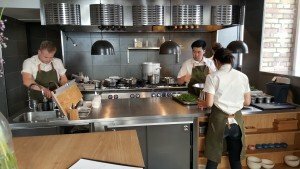 In sum, Relæ provides a wonderful, innovative dining experience emblematic of the best New Nordic cooking and efforts to source local, sustainable ingredients and to eat a larger balance of plants than animals. Taking advantage of Relæ’s location in the lively Norrebro neighborhood, we also enjoyed fresh caramels from Karamelleriet, just down the block from the restaurant as well as after-dinner drinks at Manfreds & Vin, a lower-key sister restaurant from the Relæ chefs, located on the opposite corner.